A favorite for over 3,000 years, horseradish continues to be appreciated all across the world. The intense, fiery flavor of this herb was enjoyed in England long before the Romans introduced the country to other types of herbs and spices. In addition to England, horseradish grows in many other temperate regions of the world, including many parts of the United States. These greatly enjoyed roots are hardy and relatively easy to grow in backyard gardens. Once harvested, horseradish can easily be stored indoors and enjoyed throughout the year. Harvest horseradish when the leaves of the plant have died from frost. This is usually during the months of October or November in areas where horseradish is grown. Loosen the soil around the horseradish root with a pitchfork, and carefully lift the plant out of the ground. Cut the foliage of the plant down to one-inch above the crown of the root. Shake off any dirt that is still clinging to the horseradish root. Wash the roots under a faucet and lay them out on a table to dry. Put the horseradish roots into your bags, wrapping the bags loosely around the roots to keep them from drying out completely. Find an area of your home where you can store the roots. A root cellar is ideal for this. If you have no root cellar, find an area that is dimly lit and is consistently between 32 to 40 degrees, with a relative humidity of 90 to 95 percent. A refrigerator usually has these qualities, and will work nicely to store your horseradish. Keep the horseradish roots in their storage location for six to eight months, until it is time to plant again. If you are planning on using your horseradish for culinary purposes, it can be stored for up to 12 months without sacrificing quality. Dormant horseradish roots are preferred for food use, since they have the most flavor. You can save smaller horseradish roots for planting next year. Roots that are about 3/4-inch in diameter and 10-inches long will work perfectly for this. Cut the root end at an angle, to help you remember which end should be planted down. Global Gourmet has information on the preparation of horseradish for food use, and also some simple horseradish recipes. When grown in the home garden, horseradish roots should be harvested yearly. Roots older than one year will become too tough to use. Melissa Busse is a freelance writer covering a variety of topics, including natural health and beauty, budget balancing and parenting. She received her Bachelor of Fine Arts in studio art from Maryville University in St. Louis. 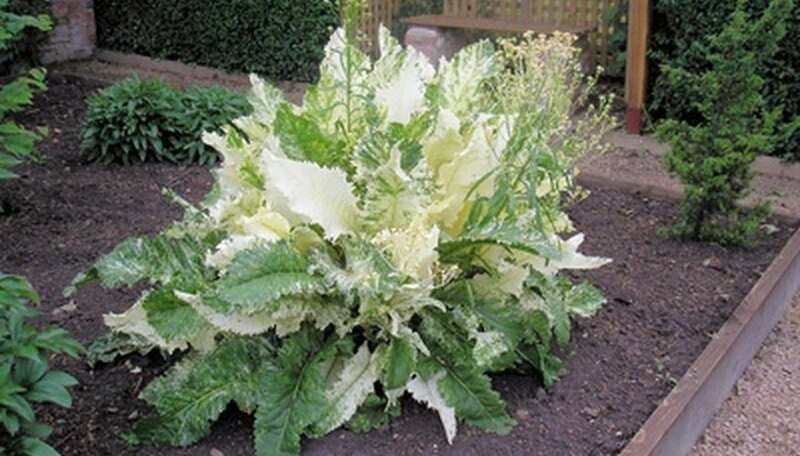 When Is a Horseradish Plant Ready?